Read the August 2017 digital magazine for cycle route directions. Photo by Jonathan Manning. 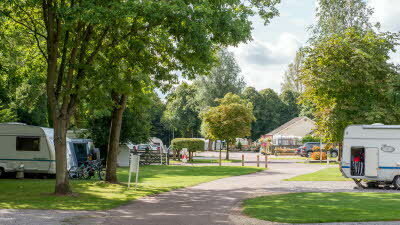 Henley Four Oaks Club Site is a pleasant and green location, with grass and hard standing pitches for your comfort. 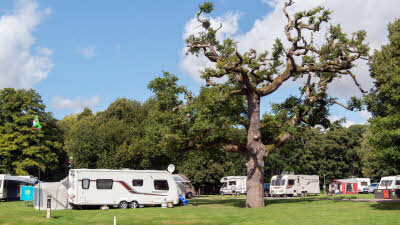 The caravan park is surrounded by statuesque mature trees, adding privacy to your stay whilst enhancing the area's natural beauty. 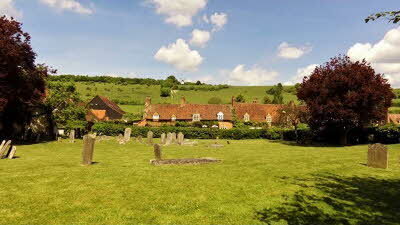 Nearby Henley is said to date from the early twelfth century. It has many old and interesting buildings for you and your family to discover, and is the home of the famous Regatta in June and July. This is followed a week later by a popular music festival and traditional boat rally, which involves the odd wooden-built craft for a touch of nostalgia. The ornate stone bridge that spans across the River Thames is a popular landmark for visitors to Henley Four Oaks Club Site. It dates from 1786, though there is evidence of an earlier bridge dating from as early as 1170. The town is easily reached from the caravan park and there are many antique shops, art galleries and charming boutiques for you to browse. Another fun excursion would be to take a leisurely boat ride on the lovely Thames, travelling as far afield as Marlow or even Maidenhead. The site is well placed to visit some very interesting places including Windsor Castle, Hampton Court Palace and the city of London. 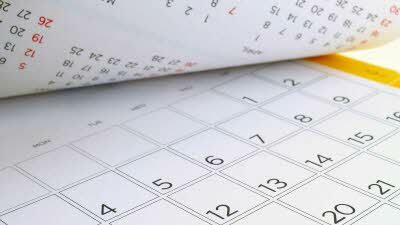 Legoland, approximately 15 miles drive from the site, is a great fun day out for children. Leaflets are available from Reception about cycle routes in the area. The nearest National Cycle Network route to this site is 4, Hampton Court to Reading, part of the Thames Valley Cycle Route. A good walking route near the site is the Thames Path, about half a mile from the site. The closest is Waitrose in Henley-on-Thames, about 1 mile from the site. Tesco is 2 miles away. 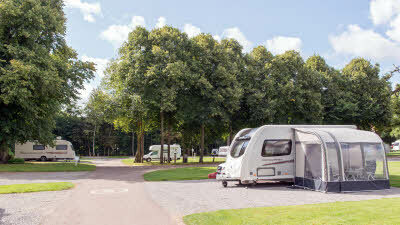 Both are accessible for motorhomes. The River & Rowing Museum celebrates the River Thames, Henley and the sport of rowing. The Museum is also home to a permanent gallery celebrating British Artist, John Piper and the Wind in the Willows attraction, a family friendly walk through the classic story with fascinating galleries and special exhibitions. From the East take the M4 junction 8/9 onto the A404 and then take the A4130. Cross river bridge into Henley-on-Thames. At the third set of traffic lights (including pedestrian crossing) turn right into road signposted Marlow, Oxford. In 0.25 mile at mini roundabout fork right onto A4155 (signposted Marlow). 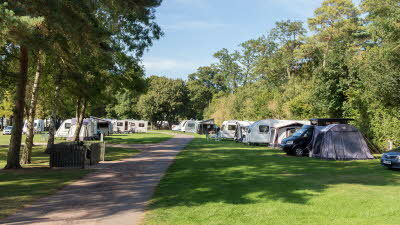 The site is on the left in about 0.5 mile (500 yards past entrance to Swiss Farm Caravan Site). From the M40: leave at junction 4 onto A404. Turn onto the A4155 (signposted Marlow, Henley). The site is on the right about 7 miles past Marlow (0.5 miles past Toad Hall Garden Centre). Please note, those who do not know the town well are advised not to drive or tow through Reading. As we've come to expect the site was clean and well kept. 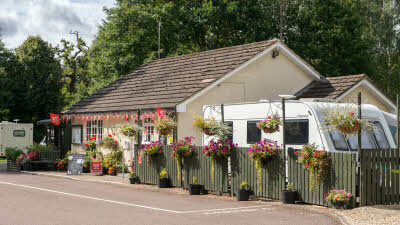 Good easy location for Henley itself, 5 minute walk to bustop and easy access to larger towns such as Reading. The barrier didn't work for duration of our stay which was unfortunate as this is something we look for in terms of security when possible. A couple of negatives we found really was the position of the electric boxes as there were wires trailing all over the grass/pitches. Usually they can be found near to/on each pitch but seemed higgledy piggledy here. Constant visitor to this now all-year site (friends/family close by), it is of typical C&MC high standard with a lovely well-known Thames-side town on the doorstep. But if you were planning a site from scratch, it'd be surely different - like the dish-washing area not the long walk to the far side of the amenities block. As for motorhome friendly.... still got the old lift-a-lid grey disposal drain. And it's on a slope, so tank emptying and water filling can never successfully complete. That could be changed/moved. And additional general service points added. Advice: Arrive early to get a pitch at the 'top end' away from noisy road. And hunt for the Four Oaks. I found one great specimen among the hundreds of horse-chestnut! PS Until the club changes its website, this will be last review I make here (I do others for such as SearchFor, etc). Keep getting C&MC emails saying "click here" to leave a review. Fake news, fellow travellers. 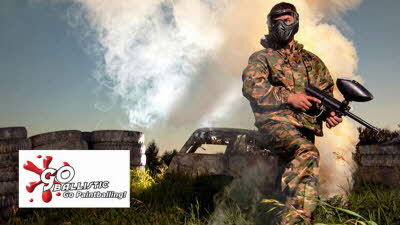 It takes hunting, time and stress with loads of clicks to actually find where to type your view on a site. One wonders whether any of the club hierarchy reads/take note of reviews. First and foremost we encountered friendly and helpful wardens. Unless we have been given vouchers we use CL's and CS's and this site highlights why it was unsuitable for our modest needs. As usual few members actually speak to each other when on site, unlike in my childhood. Perhaps it's generally a different type of person on a CL but our fellow campers on 5 van sites are generally much friendlier. We got off to a bad start in that I had not realised that a standard pitch did not include an awning. A lifetime of caravanning and still there's something to learn. Alas we could not change onto a suitable pitch as would have to depart or move pitch before the end of our holiday. 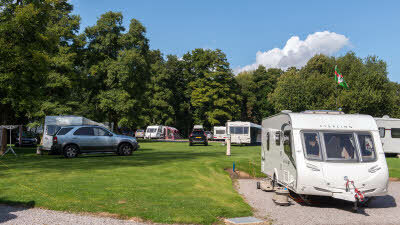 Now many reviews have said it's good for motorhomes, that it may be but then that is the new club bias. Hardstandings that have a covering as deep as at this site make negotiating from car to caravan in a power wheelchair absolutely impossible. The warden put a sheet of board down for us but I still had to get the car lift lined up spot on each time in order to transfer to the caravan. It is impossible in a power wheelchair to help with any outdoor jobs as you just sink into the hardstanding as soon as you come to a halt. In addition to use the site facilities you have to have someone to get your chair out of the car and onto the board, then drive the car to where you can depart onto tarmac to then use facilities then do everything in reverse. It is Impossible to use a toilet brush when it's located on the far side of the toilet. Luckily my chair has a built in gyroscope which can cope with the adverse cambers that need to be negotiated to get to the facilities. If it wasn't well appointed I would not manage. The toilet seat height is far too low for safe solo transfer even with my chair tilted and lowered as much as it will. Still I suppose you'll never please every cripple. Dog walking is fine once you get down to the river but the very limited facilities on the site and the (unlit) main road make the car essential, or perhaps that's why so many people were walking to the far reaches of the playground with their pooches and back again. So onto the worst bit of the stay, the road noise is appalling. We walked the entirety of the site to see if any pitches were we to return (unlikely as it would be), any quieter. They are not. The speed limit on the main road is not adhered to and the engine note of the noisier cars were a disturbance at all times and even woke us on a number of occasions in the night. If at this time of year when you're sat in with the windows closed it's intolerable then what on earth is it like to sit out during the day or if you leave a window open at night? Did we enjoy our stay? not the site but we walked daily along the Thames from Wallingford to Windsor and spent quality time with friends and this we enjoyed immensely. BTW the private site next door is actually cheaper too at this time of year. 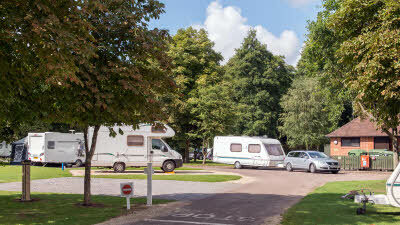 Ideal location for motorhomers as the town is easily within walking distance. There is plenty to do in town with river walks and shops and The Catherine Wheel was a nice place to eat and drink. Motorhome service point not best designed since all other vehicles had to drive partly on the grass to get round when I was emptying the grey water. 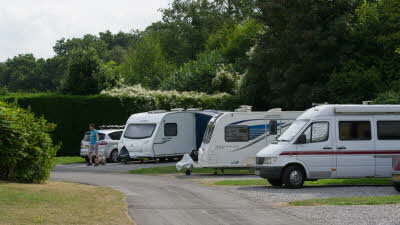 Traffic noise would be intrusive in summer (with open windows/sitting out etc) for pitches close to the busy road. Entry/Exit barrier not working throughout my three night stay.